William (Bill) Reay has been a national leader in mental health services and behavioral health services research for more than 25 years. As one of the original Child and Adolescent Service System Program (CASSP) developers, Bill was associated with both child and family research centers in Portland, Oregon and Tampa, Florida. As one of the founding members of the National Federation for Children’s Mental Health, he has been central to organizing parents across the United States to improve mental health care for children. Bill is one of the original leaders in the System-of-Care development and movement, and served as a professional research member of the United States Department of Education’s Evaluation Team for the Research and Training Centers. Bill received his Master of Arts degree in Quantitative Psychology from the University of Nebraska, Department of Psychology, at Omaha. He received his Ph.D. in Psychology with a minor in Law from the University of Nebraska, combined Department of Law and Psychology, College of Law, Lincoln, Nebraska. Bill has written numerous professional articles on a variety of subjects associated with public health and behavioral health services. Bill is also a Professor of Psychology, School of Psychology and Director of Academic Program Development for Northcentral University, Scottsdale, Arizona, where he designs and develops international graduate programs. In addition, he is the President of The Coalition for Behavioral Health Research to Practice, a multi-university research intuitive aimed at improving behavioral health care and improving the quality of life for individuals and families that suffer from behavioral health problems. Bill is a visiting scientist at Vanderbilt University and holds an additional academic appointment at Springfield College, Tampa, Florida. Internationally, Bill consults with businesses and academic institutions in the European Union and the Caribbean research and training center. As Treasurer of the American Orthopsychiatric Association, Bill led a delegation of social scientists to Cuba which resulted in a professional research relationship with the Cuban Center for Sociological and Psychological Research. 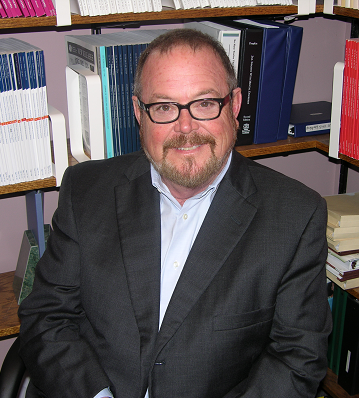 Bill is also a guest editor for the Journal of Administration and Policy in Mental Health and Mental Health Services Research and the Journal of American Orthopsychiatry. Morgan Kelly completed his Bachelor's degree in Psychology with Honors at the Johns Hopkins University, followed by his Law and Masters Degrees (Psychology) at the University of Nebraska-Lincoln's Law and Psychology Program. In addition to being Treasurer and General Counsel at OMNI, Morgan has served on several Boards of Directors of Social Services organizations, and previously served as President of the Nebraska Association of Homes and Services for Children, as faculty on the Nebraska State Bar Association's Leadership Academy, and previously served for six years on the Bar Association's Legislative Committee. He is admitted to practice in Nebraska State and Federal Courts and the United States Court of Appeals for the 8th Circuit. In addition to coordinating quality of care research with a major national managed care company, Morgan has supervised several graduate and undergraduate students in community-based, psycho-legal research from the University of Nebraska-Lincoln Law and Psychology Program, the University of Omaha's Department of Criminal Justice, and Texas Christian University's Department of Psychology. Morgan has published articles in professional psychology journals, presented original psychological research at national conferences, and given numerous presentations on psycho-legal issues arising in community-based mental health. He is an alumni in the Federal Bureau of Investigation’s Citizens’ Academy, and is a Kansas City Barbeque Society Certified Barbeque Judge. Megan Riebe is a Licensed Independent Mental Health Practitioner. She has worked in the mental health field since 2007, when she graduated from the University of Nebraska, Omaha, with a Master's Degree in Community Counseling. Megan started out providing direct therapeutic services, and gained experience in working with adolescents and adults with major mental health issues, intellectual and developmental delays, and severe behavior problems. She has since provided administrative oversight and clinical supervision for several community-based programs, including Intensive Family Preservation (IFP), the Eating Disorder Program, Community-Based Alternative to Residential Services (CBAR), and Extended Family Home Care. Megan has been active in several initiatives for the development of community-based programs. She remains knowledgeable in public and private insurance programs and the Nebraska Department of Health and Human Services Divisions, and frequently collaborates with these systems. Through these collaborations, Megan has frequently assisted in developing specialized programs for some of the most complex populations, in order to maintain them in the community. Megan is a member of the American Counseling Association and is a Nationally Certified Counselor with the National Board of Professional Counselors. Megan is also active in promoting women’s issues in Omaha and the surrounding areas. She is trained in several evidence based practice models and works to promote education of these models to practitioners across the state and nation. Ashley is a Licensed Independent Clinical Social Worker. She received her Bachelors of Social Work from the University of Nebraska Kearney and earned a Master’s degree in Clinical Social Work in 2013 from the University of Nebraska Omaha. She has experience working with individuals with intellectual and developmental disabilities, mental health diagnoses, and disruptive or challenging behaviors. She started in the field as an in-home Applied Behavioral Analysis Therapist. In 2013, Ashley began at OMNI as an Intensive Treatment Mobility Services (ITMS) Clinical Therapist. Ashley is currently serving as the ITMS Supervisor providing guidance in assessment, the development of intervention plans, and implementation in order to support and maintain community stabilization. Brandy Baumgart is a Licensed Independent Mental Health Practitioner and has worked in the social service field for 10 years. She received her Master’s in Clinical Counseling from Bellevue University. She began her career providing direct care with children and adolescents in residential and outpatient settings where she served for 8 years before joining the team at OMNI Behavioral Health. Brandy has experience working with adolescents and adults with severe behavioral problems and major mental health issues. Brandy provides clinical supervision and administrative oversite to the Home-Based Therapy and Eating Disorder programs. She is trained in several evidence based practice models including Parent-Child Interaction Therapy (PCIT) and is trained to provide ASI and CASI substance abuse assessments. Brandy is currently part of a program with Magellan to provide Telehealth therapy services to individuals and families. Brandy is active in collaborating with her team and other providers to assist in providing resources and therapeutic services that are beneficial to individuals and families where they can remain successful in their home environments. Mary Michele Ellis was born in Hudson, New York. She moved to Houston, Texas at the age of 10 years old when her father was transferred to KTRK as the News Director. She obtained theatre and philosophy degrees from The University of Dallas. After a short career in theatre and dance, she moved to Omaha, Nebraska and attended Creighton University Law School. She received her J.D. in 1988. She returned to Creighton in 1994 for her pre-med degrees and then graduated with an RN BSN from Creighton School Of Nursing in 1998. She has worked with the underprivileged as an advocate in both Health and Law for the past 25 years. She also worked for Magellan, Risk Management in the metro area hospitals and as legal counsel for Heartland Family Services’ Domestic Abuse division. Currently, she works as a as the Nurse Coordinator for OMNI Behavioral Health and as a Guardian Ad Litem in the Separate Juvenile Courts of Nebraska. Mary also serves as President of Dodge County Bar Association, and sits on the Board of Directors of Winnebago Girls and Boys Club, the District 6 Truancy Task Force, and as an advisor to the Crossover Youth Pilot Model for Dodge County. In her spare time, she teaches group fitness and plays keys and bass in an original band. She is studying Spanish as a full time student. She is an avid long distance runner, artist and cook. She has two daughters that are both involved in the performing arts. 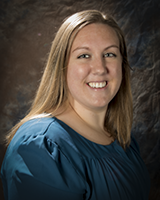 Amanda graduated with her Bachelor’s degree in 2008 and has been working in the behavioral health field since 2009. She has worked in several departments throughout OMNI as a Family Support Specialist, Community Treatment Aid, and Intensive Family Preservation Specialist. Amanda currently supervises and coordinates the Safety and In-Home department. She continues to build the program to assist children and families in their natural environments. 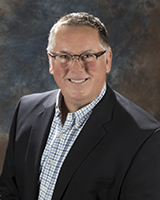 Kris Hess-Tevis has worked in the mental health field for over 15 years in hospital and outpatient settings. She graduated from the University of Nebraska-Omaha with a Master’s Degree in Community Counseling with additional coursework in Developmental Psychology, Law and Industrial/Organizational Psychology. Kris is currently attending the University of Nebraska-Lincoln, Department of Psychology. She has participated in several research initiatives associated with clinical feedback and Evidence Based Practice (EBP) implementation. With a strong background in applied science, her current research focus includes program design and evaluation, employment discrimination among individuals with Intellectual Disabilities, and work analysis in behavioral health fields. Kris has worked with OMNI Behavioral Health over 12 years in various capacities. Kris has developed and maintained several programs within OMNI, including complex integration of electronic records system and Evidence Based Practices across various settings and geographic locations. Kris is responsible for assisting OMNI Behavioral Health in maintaining compliance with Medicaid and State licensing requirements and compliance with Joint Commission standards. Kris is very active in public policy initiatives and community mental health advocacy, holding numerous offices in professional organizations, organizing statewide conferences advocating mental health training for service providers, and speaking to community members regarding various mental health issues. 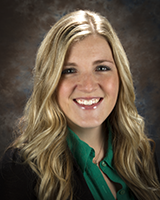 Mindy Marschman graduated from Peru State College in 2005 with a Bachelor’s Degree in Psychology. After graduation, Mindy worked for the Department of Health and Human Services in Child Protective Services where she licensed traditional foster homes and monitored agency based foster home contracts in Richardson, Nemaha, Otoe, and Cass Counties in rural Southeast Nebraska. Mindy graduated from Capella University with a Master’s Degree in Counseling Studies in 2011. In 2010, Mindy started working for KVC Behavioral Health Care where she held 2 positions: Adoption Specialist, writing adoption homes studies in 2010, and Licensing Specialist, where Mindy was able to continue working with new families by completing their licensing packet and home study. Mindy started working for OMNI Behavioral Health in April 2012 as a Foster Care Specialist and accepted the position as Foster Care Supervisor in September 2012. She enjoys working with and supporting foster families and foster children. OMNI serves youth with varied interests and works with families in the community to accommodate the many different needs of children and adolescents, always with the goal of assisting the youth in finding a forever family. OMNI licenses relatives of foster youth in order for them to meet the necessary requirements for their youth to live with them. OMNI works hard to provide foster parents with extensive support and services. Services provided to families include a stipend, as well as other therapeutic services for the youth and family when needed. Because of the wonderful families and OMNI’s team approach, many youth receive permanency, often returning to their biological family. 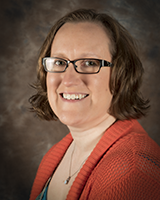 Jamie Monfelt-Siems, LIMHP has 15 years of working experience in the fields of child welfare and mental health in Greater Nebraska (Lincoln, Beatrice, and surrounding communities). She graduated from the University of Nebraska-Lincoln in 2001 with a bachelor’s degree in Psychology, and graduated from Doane College, Lincoln, Nebraska in 2006 with a Master’s Degree in Counseling. Jamie’s experience includes working in fields both as a direct care staff as well as an outpatient clinician. She has supervised both the Home Based Therapy (HBT) program, as well as Intensive Family Preservation (IFP) program in Greater Nebraska. She has also been the Clinical Director of Seward Family Support Center a Therapeutic Group Home. Additionally, Jamie has assisted in development of programs with Lancaster County, Nebraska including Truancy Diversion and Juvenile Justice Prevention. Currently, Jamie is the Director of Child Welfare Services in Greater Nebraska for OMNI Behavioral Health; providing program management and supervisory assistance to in the Greater Nebraska area. Jamie has worked with children, adolescents, and adults with major mental health issues and severe behavioral problems, as well as their families. She is knowledgeable in Nebraska Department of Health and Human Services (NDHHS) regulations as they pertain to Child Welfare Services, as well as knowledge of Medicaid and Managed Care Programming. Jamie also assists in developing specialized programming for difficult youth in order to maintain their placement in community environments. Kendal has worked with youth and families who experience behavioral and emotional problems, both in group home settings and in therapeutic foster care. She earned her Bachelor's degree in sociology from the University of Nebraska at Omaha and her Master's degree in Human Services from Bellevue University. Kendal is active in the Foster Family Treatment Association in Nebraska. She is also a board member for the Nebraska Families Collaborative. She was the coordinator for four group homes in the Omaha area for 12 years. Kendal developed the foster care program at OMNI 17 years ago, initially focusing on rural areas in Eastern Nebraska. The program now serves close to 100 youth and families in Nebraska. It continues to grow and expand to include many youth who have wide ranging needs in different levels of foster care. OMNI now serves all levels of foster care youth from low needs to much higher needs youth. On the lower level, OMNI works to license relative homes as well as foster homes that take newborns and younger children, in order to provide the necessary support to those families. High need youth are placed in well trained foster homes with usually no other or one other youth. Additional services are provided to the foster parent including a larger stipend, as well as services for the youth including therapy. OMNI has been successful in meeting the needs of these more involved youth and continues to expand this program. Sadie graduated with her Bachelor’s degree in 2015 from the University of Nebraska at Omaha and started working at OMNI shortly after as a Foster Care Specialist. She is currently completing the Masters of Social Work program at the University of Nebraska Omaha. She accepted the position as Foster Care Supervisor in November 2016 where she provides supervision to the Omaha Foster Care Team and oversees close to 100 youth and families in the metro area. Sadie ensures that the foster families are receiving all necessary supports and the children’s well-being is being advocated for. Sadie enjoys working with children of all ages and developing relationships with the foster families she works with! 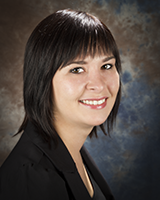 Shannon Sieck is a Licensed Independent Clinical Social Worker. She graduated from the University of Nebraska-Lincoln in 2003 with a Bachelor's Degree in Criminal Justice, and from the University of Nebraska-Omaha in 2007 with a Master's in both Social Work and Public Administration. Shannon has worked in a variety of professional positions within the child welfare and developmental disability fields. Shannon has worked with children, adolescents, and adults with major mental health issues, cognitive limitations, and severe behavioral problems. Shannon started as a Residential Mental Health Specialist for OMNI in 2004 and has excelled to currently providing clinical oversight and administrative supervision to the Residential Mental Health Specialists as the Clinical Director of the Seward Family Support Center, a Therapeutic Group Home for adolescents ages 14-18. Kate earned a Master’s degree in Clinical Social Work in 2012 from the Catholic University of America in Washington, D.C. where she also gained experience serving as a family support specialist with families in crisis and later with a non-profit agency providing case management and therapeutic services to survivors of domestic violence. She completed her Bachelor’s degree in Child, Youth, and Family Studies at the University of Nebraska- Lincoln in 2009. She began at OMNI in 2012 working as an Intensive Treatment Mobility therapist, focused on behavioral modification and developmental disabilities. Kate is currently OMNI’s Director of Intensive In-Home Services, providing guidance to teams in assessing risk and developing intervention plans based on family strengths, in order to support family reunification and preservation. Teresa graduated from Wayne State College in 2011 with a Bachelor’s degree in Criminal Justice and has been working in the behavioral health field since 2012. She is currently attending the University of Nebraska - Omaha Clinical Mental Health Counseling Graduate program. Teresa has worked at OMNI since 2013 as an Intensive Family Preservation Specialist and as an Extended Family Home Specialist. Teresa currently supervises and coordinates OMNI’s Vocational Services Program, which began in 2015. Teresa continues to build the program and provide community based vocational services for individuals with developmental disabilities. Audrey Wiener received her Ph.D. in clinical psychology from St. Louis University in 1988. Audrey provides clinical supervision for OMNI Behavioral Health's enhanced treatment group homes, home-based therapy program, and assists with clinical formulations associated with the intensive family preservation and foster care program. She has extensive experience in behavior management, cognitive-behavioral therapy, and the assessment and treatment of sexual behavior problems in children and adolescents. Prior to joining OMNI, Dr. Wiener worked for over 11 years as a psychologist at the Juvenile Court in St. Louis, Missouri, conducting evaluations and providing therapy and crisis intervention services. Dr. Wiener also conducted forensic psychological evaluations as a Senior Psychologist at the Bellevue Hospital Forensic Clinic in Manhattan, City of New York, New York, and served as the Director of the Mental Health Forensic Services Clinic for the Nassau County Department of Mental Health in New York. Crystal graduated from the University of Nebraska with dual Bachelor's Degrees in Dietetics and Exercise Science and a Master's Degree in Nutrition & Exercise. Crystal completed her Dietetic Internship at the University of Nebraska, where her thesis research involved the development, piloting, evaluation and implementation of an eating disorder risk assessment instrument for the athletic department. She has presented her research at the national level for the Academy of Nutrition & Dietetics and recently had an article published in the Journal of Renal Nutrition focused on emerging eating disorder trends. Crystal is a Board Certified Specialist in Sports Dietetics, specializing in the treatment of eating disorders and substance abuse in athletes. Crystal is the Sports Dietitian for the Nebraska Coaches Association and is endorsed by the National Organization of Coaches Association Directors as a Beyond the Game professional speaker. 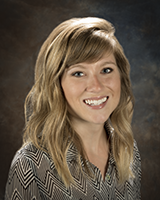 Locally, Crystal has served five years as a member of the Council on Practice for the Omaha Academy of Nutrition & Dietetics and is currently serving as the Chair of the Nebraska Board of Medical Nutrition Therapy. Nationally, Crystal serves as a member of the Sports Dietetics Examination Committee, the Sports Dietetics Practice Analysis Workgroup, and the Commission on Dietetic Registration Specialty Certification Panel. Crystal recently joined the Gatorade Sports Science Institute, where she will serve as a Sports Nutrition Consultant for professional sports. Within OMNI Behavioral Health, Crystal worked exclusively with the Eating Disorder Program for nearly a decade, ultimately serving as the program director for more than five years. Crystal moved into a global director position in 2016, now serving as the Director of Nutrition, Exercise and Health Promotion. In this role, she guides the development and implementation of nutrition, exercise and wellness efforts for both staff and clients. Client populations of focus include eating disorders, foster care, home-based therapy, intensive family preservation, extended family homes, developmental disabilities, and family support. Crystal represents OMNI Behavioral Health on the Health Advisory Committee for Special Olympics Nebraska and recently established our first-ever Special Olympics Team, the OMNI Olympians. Her experience also includes providing contracted nutrition therapy services for several substance abuse treatment programs for a decade.